Sales of South Korea's major chicken franchises rose last year from the previous year despite the outbreak of avian influenza and weak economic growth, government data showed Wednesday. Fried chicken and beer, called "chimaek" in South Korea, is one of the most popular foods in the country, as well as soju and samgyeopsal, or grilled pork belly. Kyochon, the biggest franchise, posted a 13-percent increase to 291 billion won ($255 million) last year from $257 billion won a year earlier, according to the statistics compiled by the Financial Supervisory Service. BHC witnessed a whopping 26-percent surge to 232 billion won last year from the previous year, taking back the status as the country's second largest chicken franchise. BBQ slipped to third place with 219 billion won, although up 1.8 percent from the previous year. Goobne Co. came in fourth with 146 billion won in sales last year, up 50 percent from the previous year. Smaller franchises such as Mexicana, Pericana and Cheogagip also enjoyed modest increases while Nenechicken became the only major franchise to suffer a sales drop. 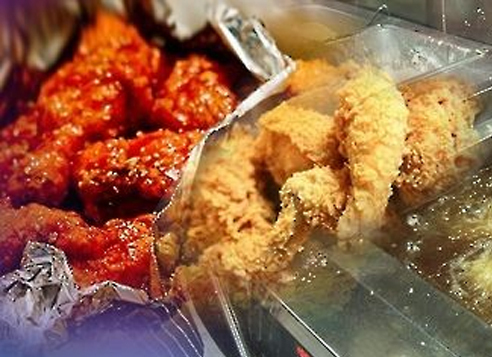 Nenechicken's sales fell 7 percent to 56.7 billion won last year from the previous year. The sales increase of chicken franchises comes amid the growing number of affiliated outlets going out of business due to tense competition. The number of chicken franchise stores that shut down jumped 10 percent to 2,793 in 2015 from the previous year and the figure is likely to soar this year, industry data showed.